River otters swam around and around, gracefully gliding through the water and bobbing their heads up every few minutes to see what was going on. It was a one-of-a-kind view for Lee Elementary students as they watched the otters from the rocks high above the water enclosure at the South Carolina Aquarium. No - it wasn't a lavish field trip. 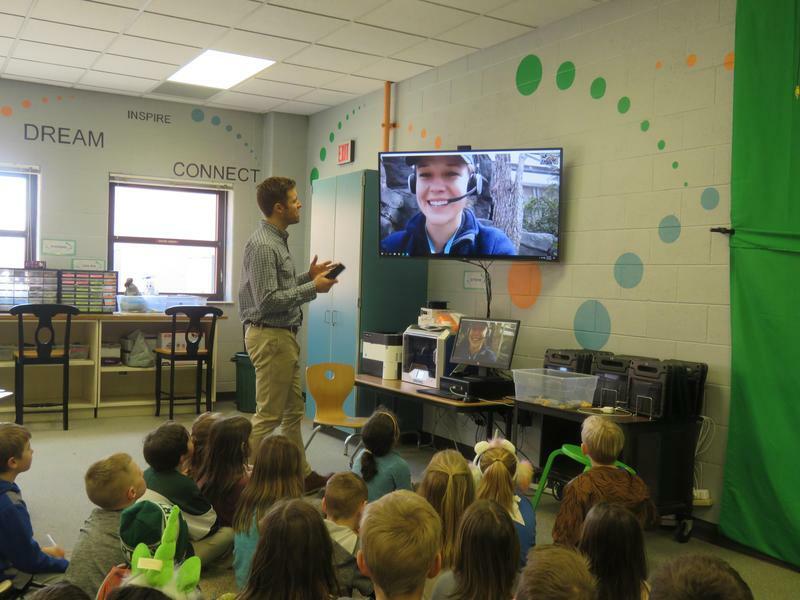 Using Skype technology in Lee Elementary's Makerspace room, Mr. Fischer's second-grade class interacted with Susan Snide, a distance learning interpreter for the aquarium. Second-grader Colin Goggins stood proudly beside his father in front of his classmates in Stephanie Woods' Lee Elementary classroom. 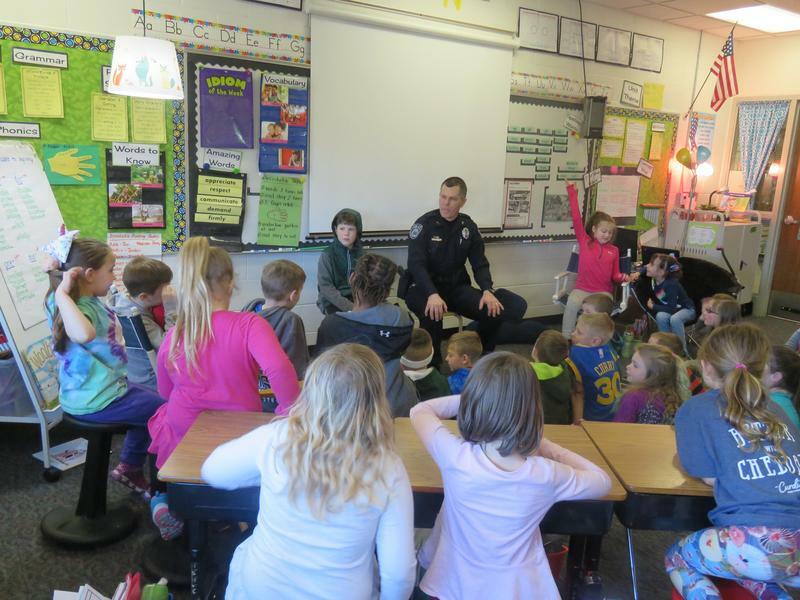 His dad, Officer Tom Goggins with the Portland Police Department, visited the classroom to talk about his role in the community. His experiences fit well with the current Reading Street lesson about being part of a community, what makes a community, and important people within a community. Throughout the month of March, a series of Bedtime Story videos will be published on the TK Facebook page. 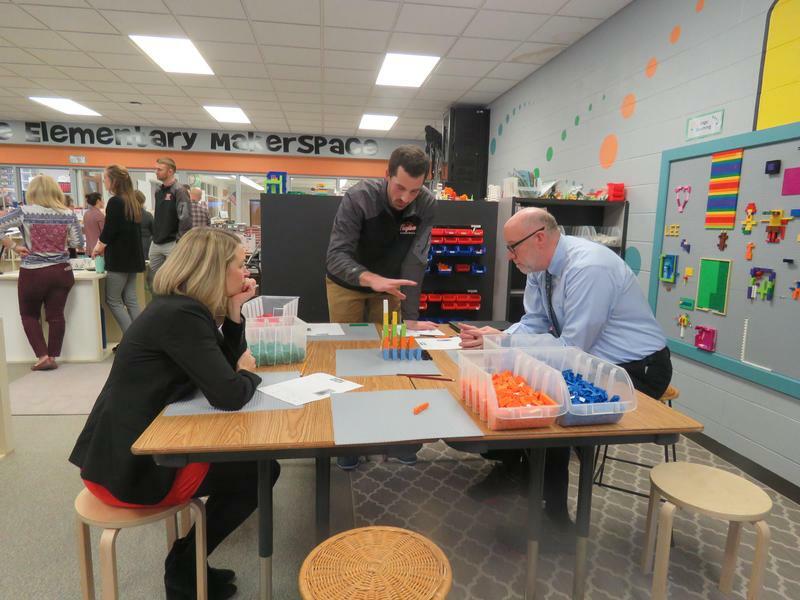 Teachers, staff and administrators throughout the district will be reading some of their favorite books. New videos will be posted at 7 p.m. each night and families are encouraged to gather for these fun bedtime stories! 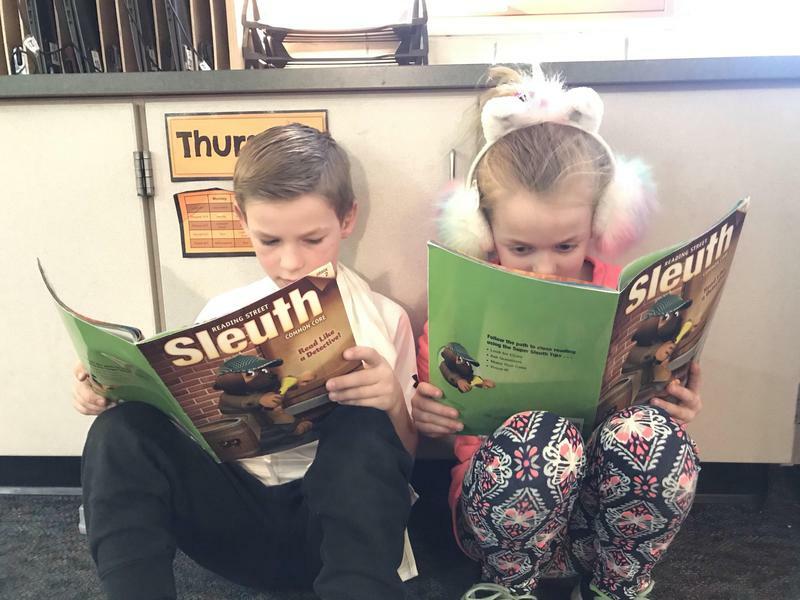 Thanks to a grant from the Thornapple Area Enrichment Foundation, Thornapple Kellogg Lee Elementary second-grade teachers were able to purchase the Reading Street Sleuth for classrooms. Additional funds from the Lee PTO provided supportive materials as well.